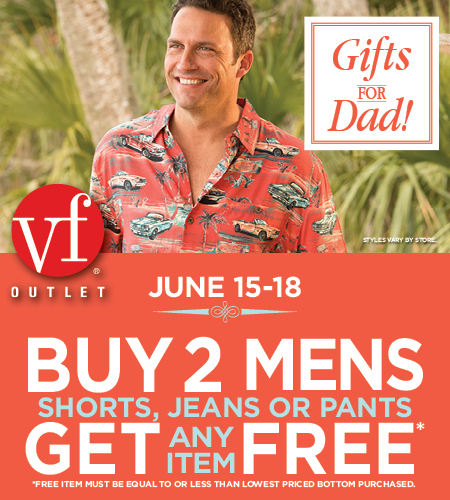 VF Outlet – Buy 2 Mens Shorts, Jeans or Pants, Get Any Item Free! Valid: June 15 – 18, 2017 Free item must be equal to or less than lowest price bottom purchased. Styles vary by store. See store for details. 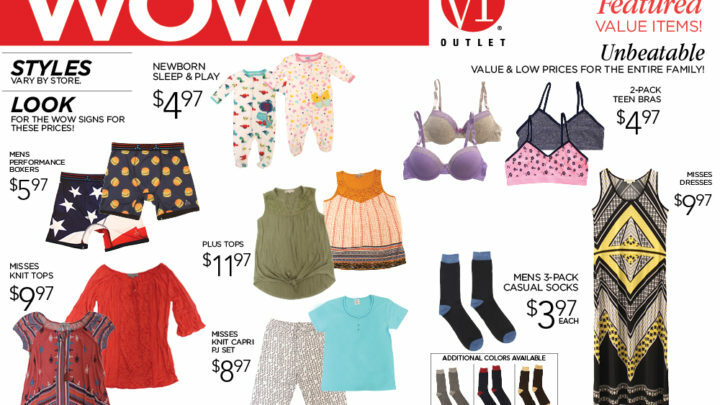 VF Outlet WOW Specials for the Entire Family Starting at $3.97 Mens 3 Pack Causal Socks $3.97 Newborn Sleep & Play $4.97 2-Pack Teen Bras $4.97 Mens Performance Boxers $5.97 Misses Knit Capri PJ Set $8.97 Misses Dresses $9.97 Misses Knit Tops $9.97 Plus Tops $11.97 Offer valid 5/30/17-7/4/17. In-store only while supplies last. Styles vary by store. See store for details. Delicious fudge! Buy a pound get a 1/4 free! Just made a batch of fresh, delicious fudge! Buy a pound get a 1/4 pound free! 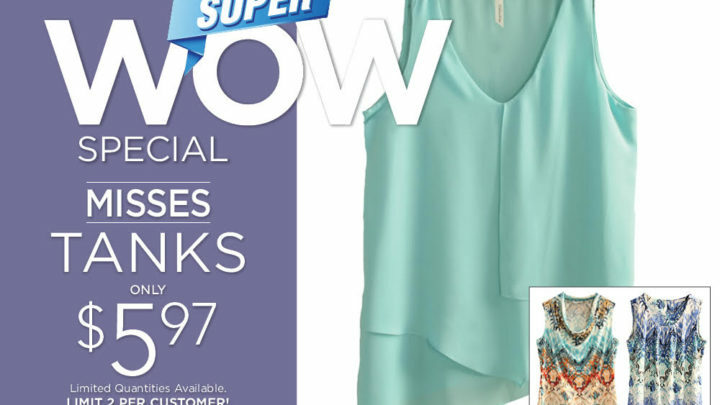 Come In and Save Through 2/21! Just made a batch of fresh, delicious fudge! 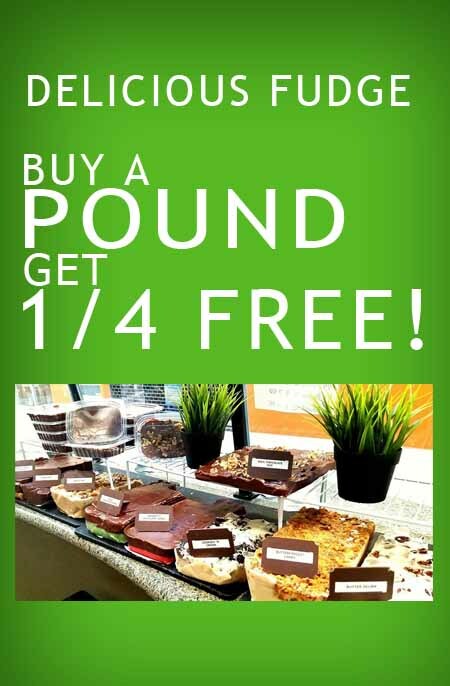 Buy a pound get a 1/4 free! 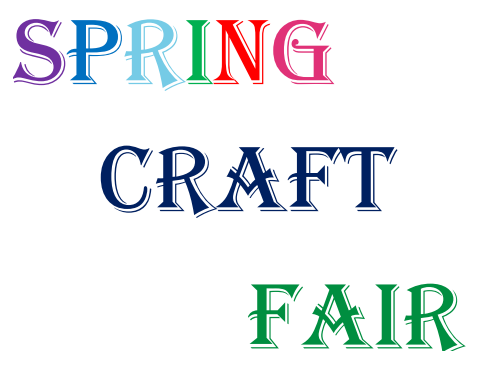 March 11th and 12th 10:00 am to 5:00 pm Join us indoors for great savings on unique finds and your everyday spring and summer must haves, all while supporting a great cause! 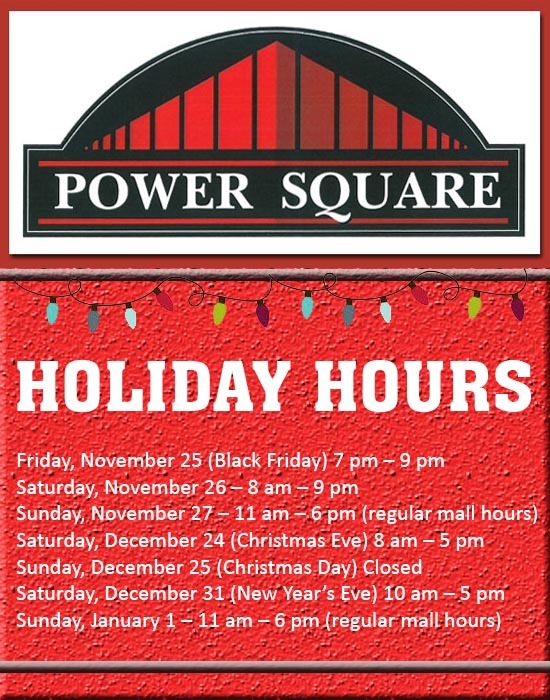 Shop from local artisans, crafters, antiquers and foodies as well top brands offering over 30 years of savings! For more information, contact Floyd Bailey at creativeicecream@gmail.com or 480-622-3697. 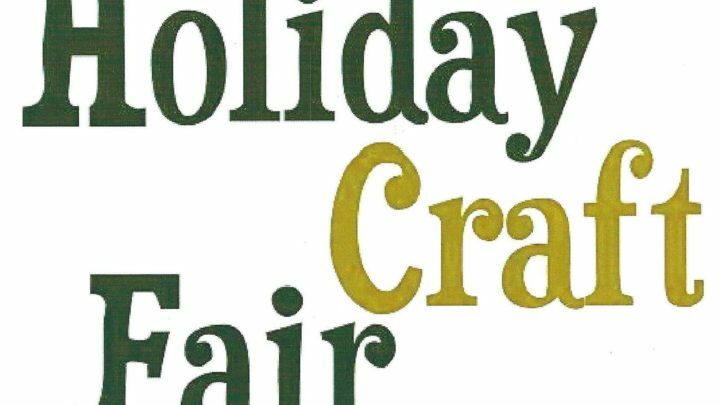 December 1st – 4th 10:30 AM to 6:00 PM 50 plus crafters and vendors $2000 art piece raffle Stores giveaways & extra discounts Raising funds for Helen’s Hope Chest for displaced kids and families V.F. FACTORY CLOTHING TENT SALE OUTSIDE *Join us in a great cause and get great savings on you Christmas and holiday needs. Help Helen’s Hope Chest raise funds for diplaced children and families. 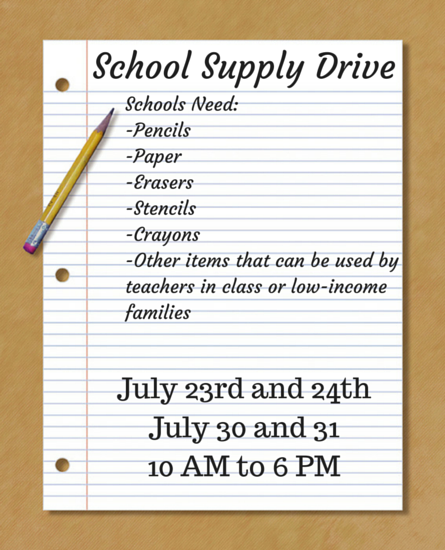 Let’s provide some much-needed holiday spirit to those who are in needd of our help. Contact Floyd Bailey, 480-622-3697 or creative65guy@gmail.com, for questions or more details.